Big Sky primarily installs fiber cement products by James Hardie. Cementitious products offer significant benefits over installing traditional wood siding materials. Some of the advantages include: greater resistance to various elements including weather and pests, improved paint durability, and under normal circumstances it will not rot or deteriorate. Our crews have beentrained and follow the strict installation guidelines set by the manufacturer. When deciding to reside, you have the option of just replacing the siding. However, you should also take the opportunity to examine the condition of other areas of your home such as the window and door trim, soffit and fascia, windows, doors, gutters, etc. We can serve all of your exterior needs in a single source. You can depend on Big Sky for all of your needs. Ask us today for a free estimate to reside your home and review all of the advantages to using fiber cement materials. Did you know...? Remodeling Magazine once again ranks residing your home with fiber cement as the #1 return on investment for home improvement projects! The upkeep and safeguarding of a home can be a time-consuming and sometimes unnerving task. 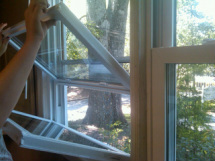 Without the correct equipment and know-how, replacing rotten or damaged siding or trim can be difficult and precarious. Below are some of the common indicators and causes of siding problems. If these issues are not properly fixed or replaced, larger problems can occur such as structural issues, mildew or mold. alleviate these problems, while updating the look of your home. We offer a variety of exterior packages, as well as, home repairs. We can reside and reframe chimneys or other areas of your home that have may have damage from rot or other critters. No project is too large or too small. In addition to fiber cement options, Big Sky Construction Services also installs vinyl siding manufactured by Mastic. Homeowners want options and a product that delivers performance reliability, minimal maintenance, while looking good! Vinyl siding comes in many different profiles, styles, and an assortment of colors. It delivers the quality appearance of wood, but is more durable. Once vinyl siding is installed, there is no need for good weather or rain-free days because it does not require painting. Under normal use, Mastic products should not require painting or staining; they will not crack and peel or rot. Big Sky Construction is a Mastic Elite contractor and certified by the vinyl siding institute. Our crews all have experience installing vinyl siding. 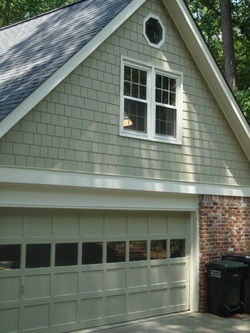 Contact Us About Your Home Siding Today! Improved energy efficiency that aid in keeping your home more comfortable and can help to lower your bills. There are multiple styles and options available that will enhance the look of your home. Give us a call today to learn more about windows and to schedule a free consultation to measure! Did you know...? window or door in which two panes of glass are used with a sealed air space between. This is also referred to as insulating glass. J.D. Power and Associates for a third consecutive year have ranked Simonton Windows highest in satisfying homeowners! Contact Us About Your Windows Today! New entry, patio, and French doors can be a beautiful way to add light, security, and charm to your home. Big Sky views installing replacement doors as a chief component of an exterior renovation. Doors take a lot of abuse - being opened and closed multiple times everyday for years. It is important that new doors be well-built and installed very carefully. Big Sky is proud to install ThermaTru doors. 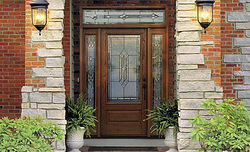 Therma Tru manufactures top of the line fiberglass doors. Their doors give the look and appeal of a wood door, while being more efficient, durable, and secure. Let us know if we can help you in choosing new doors for your home! Contact Us About New Doors Today! Big Sky Construction Services offers painting as a standalone product or a compliment to the other services we perform. Our painting crews have 20 years of experience in the Atlanta. We work with our suppliers to fully understand the different types of paint and textures as well as stains that are applied. We work with our paint suppliers to ensure that our techniques meet or exceed industry standards and that we are using industry leading materials. Our crews follow strict procedures that are in accordance with all commercial and residential products. Contact Us About Your Painting Project Today! When we are working with our residential clients developing a list of priorities regarding home improvement projects, we always notice two things; the kitchen tends to be in one of two places - either at the top of the list or it has been crossed off completely! Remodeling a kitchen can sound like a monumental and extremely expensive task. Questions arise such as, "how long will it be unusable?" "where will we eat?" "how will I make my coffee?" We are here to guide you through the process and map out a timeline, so you know what to expect and can plan accordingly. Remodeling a kitchen can change your home. The reason is simple, we spend a lot of time in the kitchen. It is not only a gathering place to eat and drink, but it is where friends and families bond. Big Sky Construction Services, provides the complete installation of your kitchen - from the planning stages all the way through to completion. Our goal is to ensure that your kitchenis perfect and that it is the center of the home for gathering. 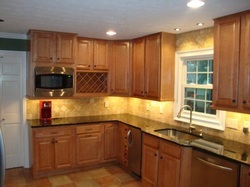 Contact Us About Your Kitchen Remodel Today! Building a deck is an important decision when it comes to improving the overall value of your home. It not only can provide a monetary return, but also, a new deck can help provide years of priceless memories. 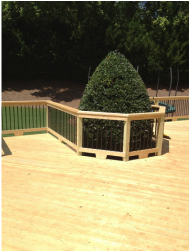 Families that enjoy a well designed and built deck will spend more time together enjoying it. A poorly designed deck can result in wasted space and quite often neglect, which may have a harmful impact on the homes curb appeal. Big Sky Construction Services understands this concept. We work with each client to create a design and layout the best suits the family. A deck should be an extension of your home. We are always excited to create an outdoor living space with our client! Our team starts with the consultation. Our consultation determines the following important factors. 1. The location of the deck. 3. Will we be building stairs? If so where? 4. Add-ons. For example; Lights, pergola, sunken Jacuzzi, BBQ area,etc. 5. Types of wood or composite materials. 6. Potential color of the deck. Big Sky Construction Services takes this information and uses this in our design process to develop a two and three dimensional model of what was discussed in the consultation. Our project manager will go over each line item, and set the parameters for a successful roll out of the project. Our goal is to engage our client, encourage questions at every single stage. Our teams are available 24 hours a day, 7 days a week. The construction process is a very exciting time, and there are aspects that will allow the client to see the step by step process we take. Our project managers work diligently with our suppliers and sub-contractors to ensure that our client is please with each phase, all questions are answered, and that we are meeting and exceeding your expectations in the entire process and delivering a perfect result on the schedule. 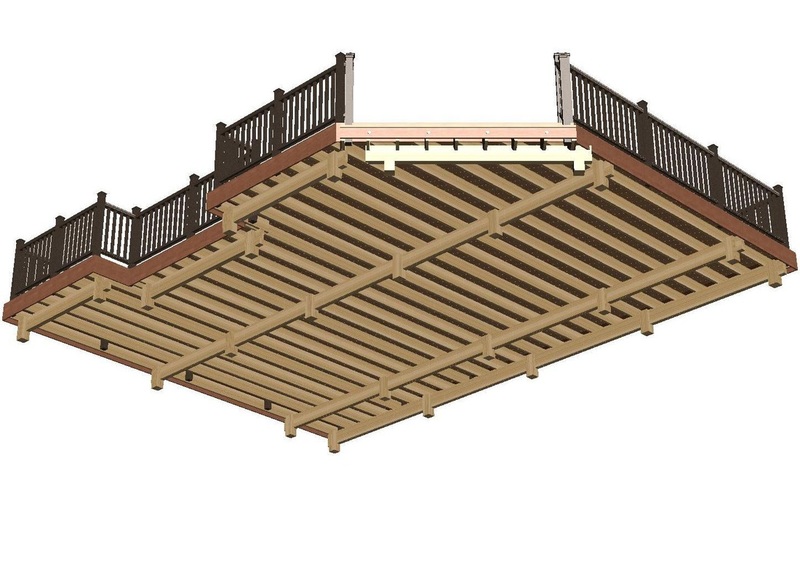 Contact Us About Your Deck Project Today! The bathroom is an important fixture in any household. It is one of the most used rooms in the house and is exposed to many elements that cause increased ware and tear. It can also be a fairly complex procedure in designing the bathroom and then installing it. Big Sky Construction has you covered. From the 3 – D design to project map and implementation, Big Sky can make your vision a reality while offering additional services that will enhance your bathroom and make sure the return on investment is maximized. 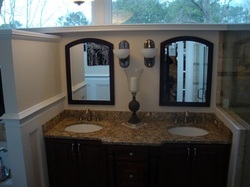 Contact Us About Your Bathroom Renovation Today! At Big Sky Construction Services, we continue to work hard in making our customers experience the best it can possilby be. One area where we have focused is the financing of your next home improvement project. The economic conditions of the country as well as around the world change daily. Therefore, it is important that we position ourselves with the best possible outlets for Financial options when financing Home Improvement Projects. We are excited to partner with Lightstream a division of Suntrust Bank. Lightstream offers a wide variety of financing options backed by a well respected Financial Institution. Whether it is auto, boat, medical or other decisions that require a financing solution. It is our privilege to offer this option to our clients when they are looking at every financial option to complete their home improvements.